The All Progressives Congress Presidential Campaign Organisation (APCPCO), on Saturday, condemned as bestial and undemocratic, the alleged dastardly plot by the President Goodluck Jonathan-led ruling Peoples Democratic Party (PDP) to clip the wings of APC leaders by grounding their aircraft and freezing their bank accounts, all in a bid to halt the party’s electoral success. The plot, according to a statement signed by the Director of Media and Publicity of APCPCO, is to destabilise the APC and cripple its presidential candidate, General Muhammadu Buhari, following the unsettling global attention on the party after the opposition candidate’s triumphant performance at the United kingdom’s think tank, Chatham House, on Thursday, despite futile public protest by a PDP-rented crowd in London. 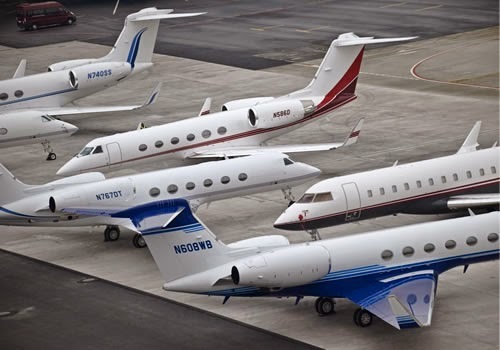 The statement alleged that the Jonathan administration would use the Aviation Ministry and the secret arm of the security service to hound and clamp down on members of the APC, by prospecting obnoxious means that would ground private jets belonging to senior members of the APC and also freeze the accounts of its chieftains, including Senator Bola Ahmed Tinubu; Governor Rotimi Amaechi (Director-General of APC Presidential Campaign Organisation), and other prominent leaders believed to be funding Buhari’s campaign. He further called on Nigerians to question the APC leaders on how they acquired their private jets, noting that it was interesting that APC has admitted, for the first time, that their leaders own private jets, saying: “It is interesting that the APC has, for the very first time, admitted that some of its leaders own private jets. “It will be interesting to know from the APC how these leaders who either occupied public offices or still occupy public offices acquired these jets. In fact, where did the money with which they procured the jets come from? And this is the APC whose leaders pretend to occupy a moral high ground and accuse everyone else except themselves of malfeasance,” Fani-Kayode said.